Montgomery College Television Montgomery College Television	 Award-winning journalist and author Cokie Roberts; Taped Wednesday, December 3, 2008, Theatre Arts Arena on the Rockville Campus of Montgomery College. Award-winning journalist and author Cokie Roberts; Taped Wednesday, December 3, 2008, Theatre Arts Arena on the Rockville Campus of Montgomery College. 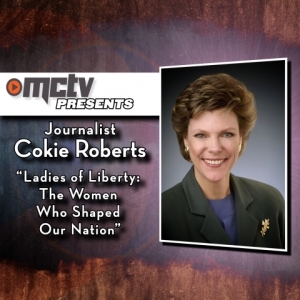 Embed "MCTV Presents: Cokie Roberts" on your page.